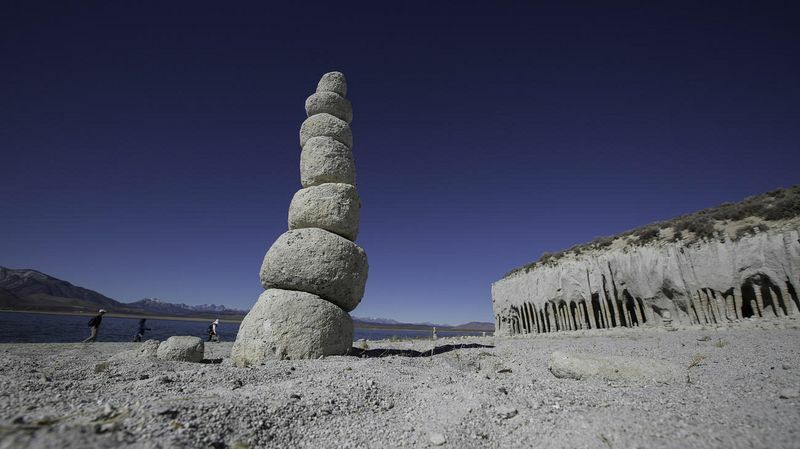 After California’s Crowley Lake reservoir on the upper Owens River in southern Mono County was completed in 1941, strange column-like formations were spotted along the reservoir's eastern shore. These stone columns rose up to 20 feet tall, were ringed at intervals of one feet and were connected by high arches like an ancient Moorish temple. 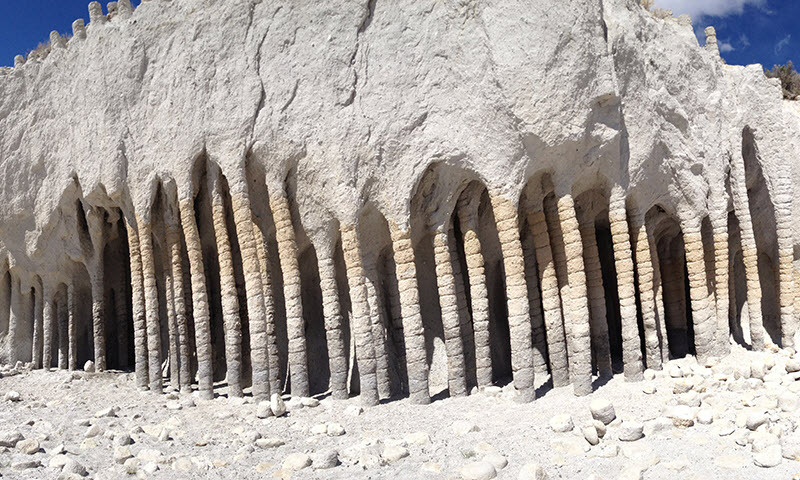 For millions of years these pillars were completely covered by soft rock and hidden from view, and would have remained so, if not for the Los Angeles Department of Water and Power. 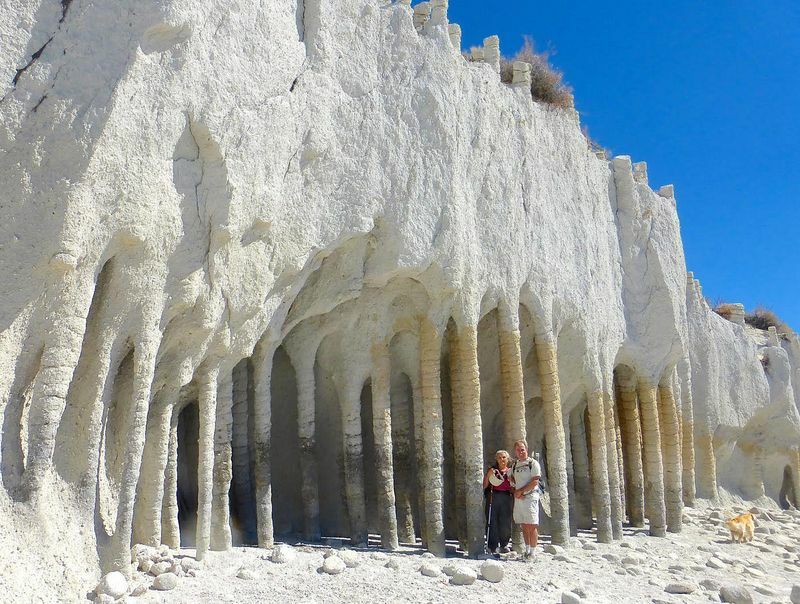 Once the reservoir was created, the incessant pummeling of the lake's powerful waves eroded the more malleable rock at the base of the cliffs encasing these pillars, exposing them to the world. Even then, the columns were regarded as little more than curiosities until very recently in 2015, when geologists at the University of California, Berkeley, decided to conduct serious studies. 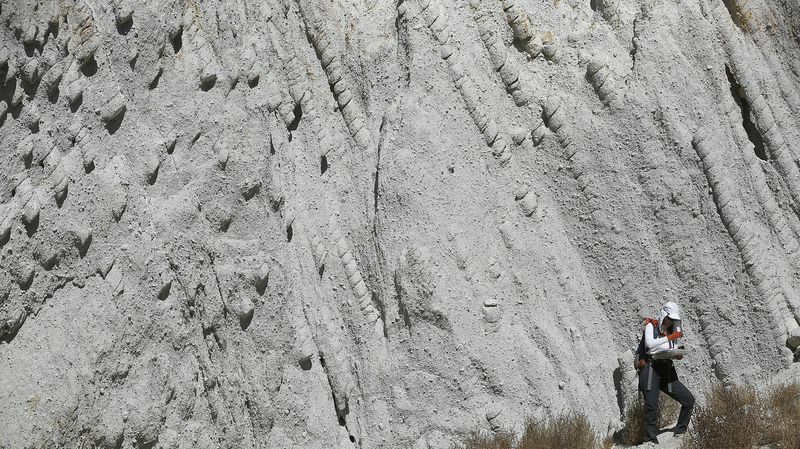 Using a slew of different methods and equipment, including X-ray analysis and electronic microscopes, geologists determined that the columns were created by frigid water from melting snow seeping down into hot volcanic ash that was spewed by a cataclysmic explosion 760,000 years ago. The details are a bit sketchy, but the researchers said that as the water boiled, it created evenly spaced convection cells similar to heat pipes. These convection pipes were literally bonded into place by minerals that were able to resist the corrosive force of the lake's waves. 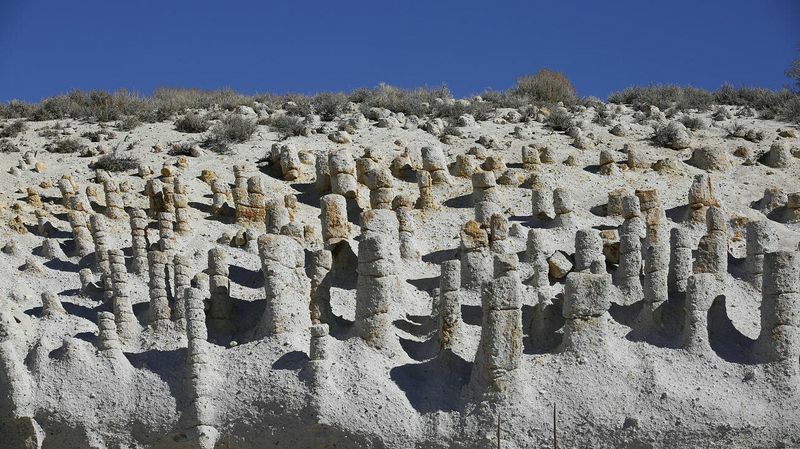 Researchers estimate that there may be nearly 5,000 of these pillars, which appear in groups and vary widely in shape, size and color over an area of 4000 acres, with some of the columns standing as erect as towering pylons and sporting ringed apertures approximately a foot apart. Others are bent or leaning at various angles, while some are still half-submerged and is said to look like fossils to an untrained eye.